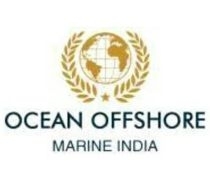 Ocean Offshore Marine India trains the budding Merchant Navy sailors and the promising Offshore professionals in a way not imagined by even the best minds of the world. We challenge the human imagination and redefine the parameters. Where there is no space for the courses, we provide such equipment as can not only impart knowledge but also foster the ability to know. Needless to say, the courses are conducted by the best trained and the most qualified faculty, with a glorious past of working in the industry. The Ocean Offshore Marine India uses the latest equipment. We are the best institute to offer the offshore courses in Delhi. We offer all types of courses related to the offshore Industry. BOSIET COURSE (Basic Offshore Safety Induction & Emergency Training) is a minimum requirement to work offshore. The course consists of four modules; Safety Induction, Helicopter Safety and Escape (HUET), Sea Survival and First Aid, Fire Fighting and Self Rescue. The BOSIET is required for cold water areas and includes additional training in the use of survival suits and emergency breathing systems during the HUET module. This course is essential for personnel who are new to the offshore oil and gas industry that require this safety and emergency response training and assessment to work in an offshore cold or warm water environment. HUET COURSE (Helicopter Underwater Escape Training ) in most other countries, (often abbreviated HUET, pronounced hue-wet, hue-way or you-way) is training provided to helicopter flight crews, offshore oil and gas industry staff law enforcement personnel, and military. H2S COURSE ( Hydrogen Sulphide Gas Safety ) Hydrogen Sulphide is the chemical compound with the formula H2S. It is a colorless gas with the characteristic foul odor of rotten eggs. ... This course covers the characteristics of hydrogen sulphide gas, potential physiological effects of exposure as well as the use of H2S equipment and escape breathing apparatus. FRC/FRB COURSE (Fast Rescue Craft/Boat ) This course is designed to meet the initial FRC coxswain training and development requirements for ERRV crew-members. Course structure The course is a combination of theoretical and practical sessions; and delegates are assessed continuously during the course.Target Audience Fast Rescue Craft Marine crew working in offshore fields and those taking up jobs on RO-RO passenger ferry. FOET COURSE (Further Offshore Emergency Training ) Program is designed to meet the further offshore safety and emergency response training requirements for personnel working in the offshore oil and gas industry. Delegates have the opportunity to practice and demonstrate emergency response skills which are not possible to practice during drills, exercises and emergency offshore training.